For inquiries or to book an appointment, please fill out the short form below. We offer comprehensive oral care at your fingertips. We’re located at 702-8249 Eagle Landing Parkway in Chilliwack and welcome patients of all ages. 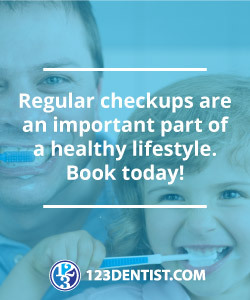 Come and experience friendly, gentle and effective dental care at Eagle Landing Dental and reap the benefits of great oral health and a fantastic smile you’ll be proud to show off. 702-8249 Eagle Landing Parkway, Chilliwack, BC. © 2019 Copyright Eagle Landing Dental. All rights reserved.